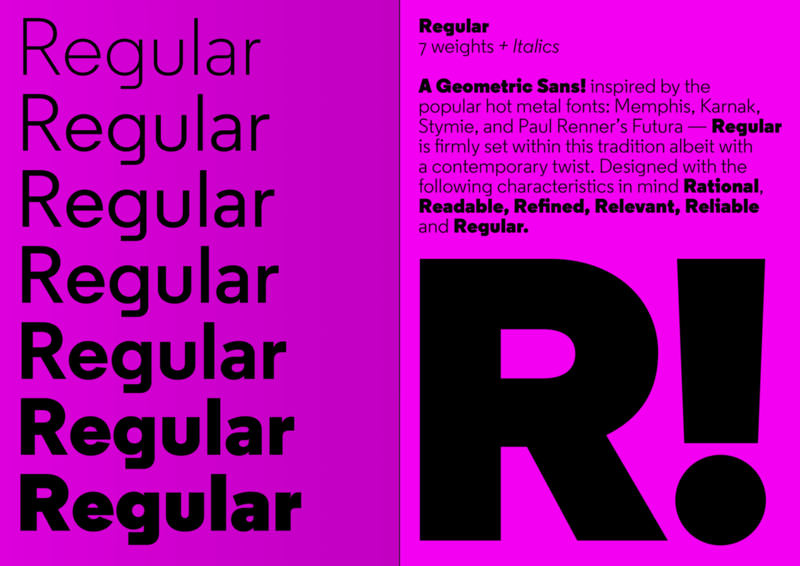 ‘Regular' is a geometric sans serif typeface inspired by the popular hot metal fonts; Memphis; Karnak; Stymie, Scarab and Paul Renner’s Futura. Regular is firmly rooted within this modernist tradition, albeit with a contemporary twist. ‘Regular’ has been designed to work exceptionally well in print and screen; for example, at large point sizes the typeface’s quirks and personality are clear, while at smaller point sizes the font is supremely legible and crisp. 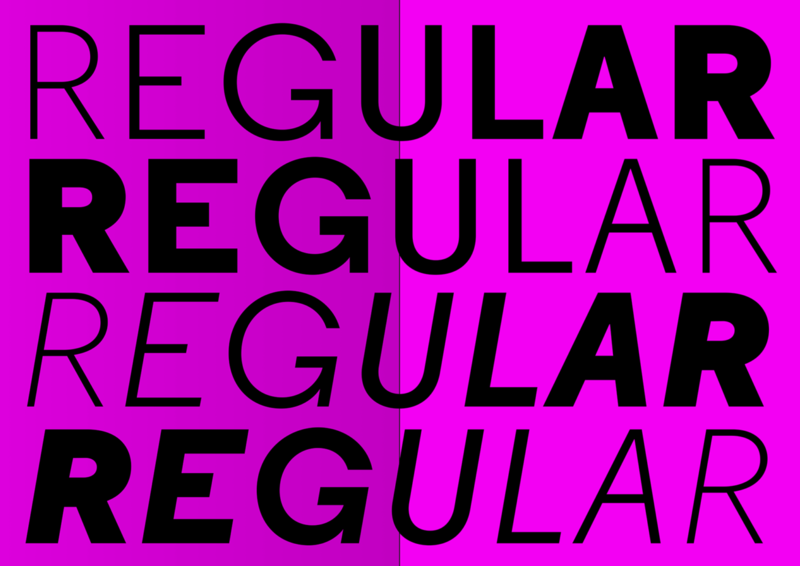 ‘Regular’ is both easy to read, and distinctive. 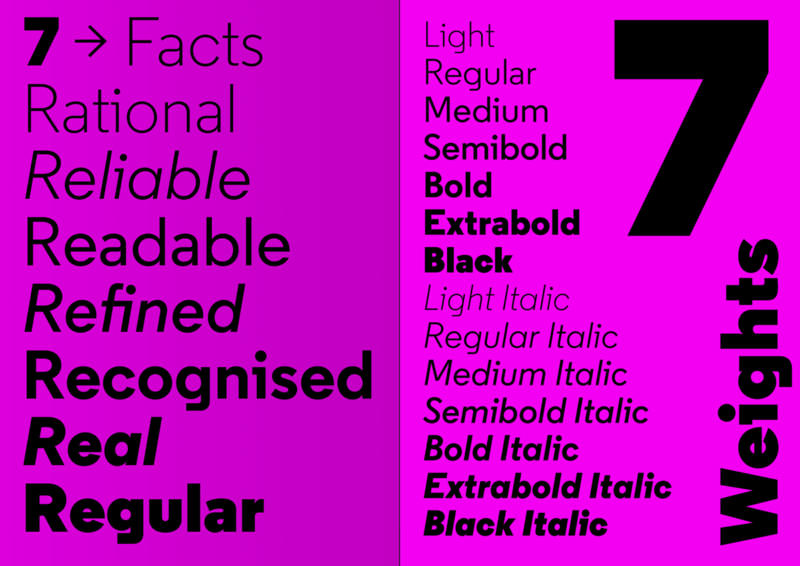 The font has a carefully crafted weight range with corresponding italic styles. 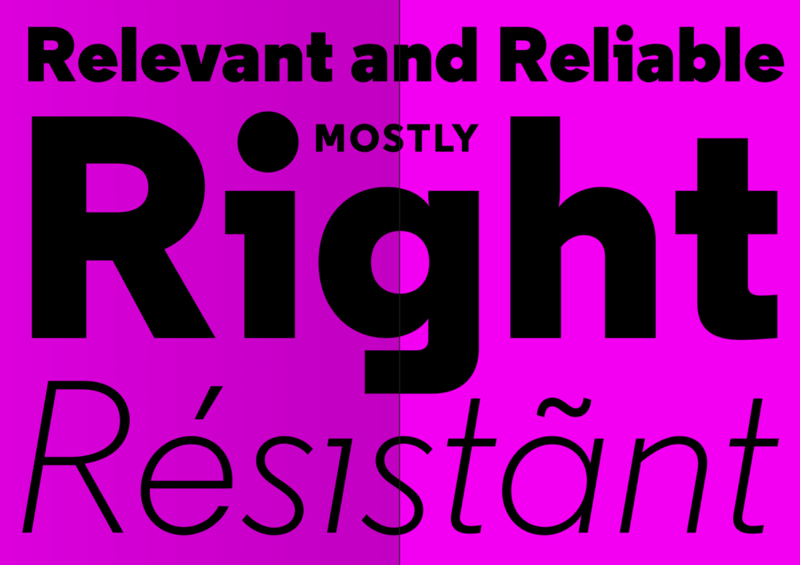 Read the full story of developing the Regular typeface.